Directed by Radim Špaček. Starring Ondřej Malý, Kristína Farkašová, Luboš Veselý, Lukáš Latinák, Oldřich Kaiser, Ivana Uhlířová, Martin Finger, Roman Zach, Iva Pazderková, Barbora Milotová, Jiří Štrébl. Written by Ondřej Štindl. Radim Špaček´s Pouta (Walking Too Fast in English; a direct translation of the title would be handcuffs or restraints) failed to find an audience when it opened locally last February, taking in approximately 1.5 million CZK at the Czech box office. In comparison, Ondřej Trojan´s Občanský průkaz, which opened in October, has made some 40+ million CZK. Earlier this month, however, Pouta scored an impressive victory at the Český lev (Czech Lion) awards, the Czech version of the Oscars, taking home wins for Best Film, Director, Screenplay (Ondřej Štindl), Cinematography (Jaromír Kačer), and Actor (Ondřej Malý). And deservedly so. 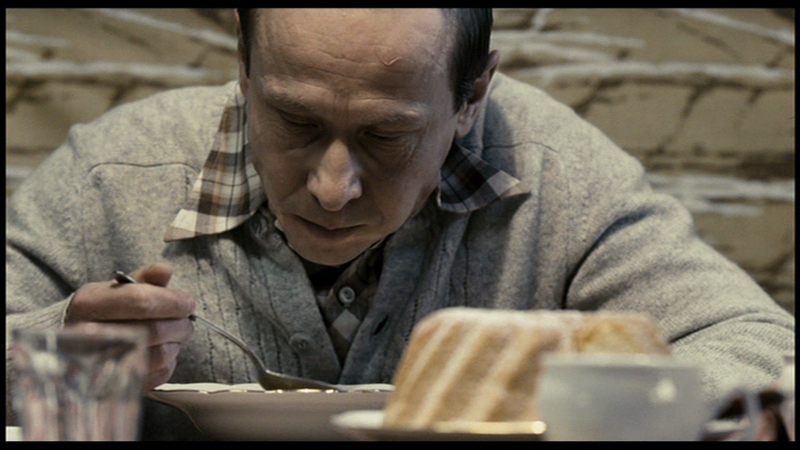 It´s one of the best Czech films of the last 20 years. Comparisons to Florian Henckel von Donnersmarck´s The Lives of Others cannot be avoided; in terms of story, yes, but also of quality. 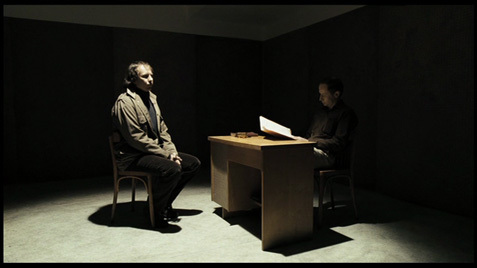 Like that film, this one takes place in the early 1980s, and focuses on the secret police (here, the StB) and their investigation of a supposed dissident. 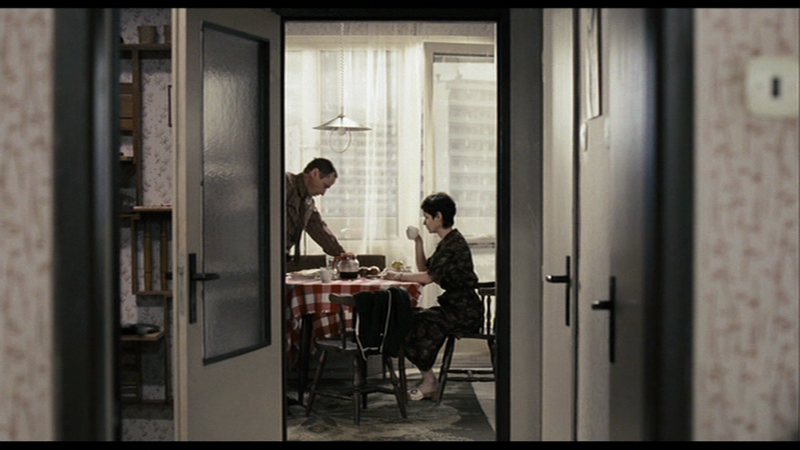 The Lives of Others, however, gave us a thoughtful, eventually noble stasi officer. 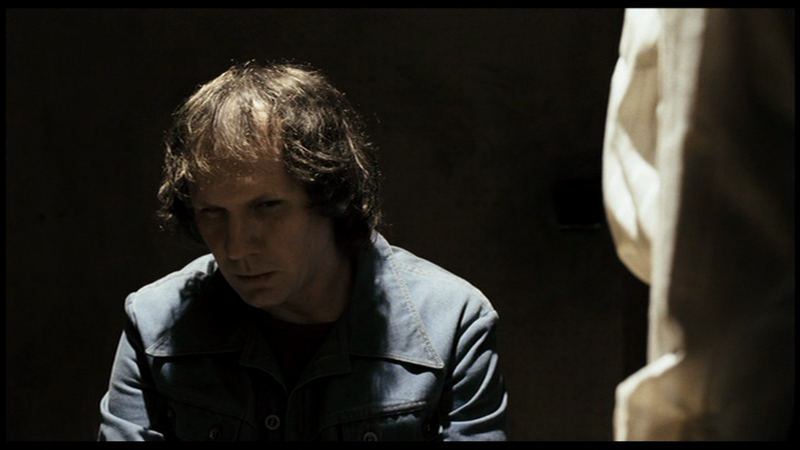 In Pouta, our protagonist is a frightening Travis Bickle-like sociopath. He is Antonín Rusnák (played by Ondřej Malý), an StB officer working alongside partner Martin (Lukáš Latinák) on ‘the Sýkora case´. Tomáš Sýkora (Martin Finger) is a writer being investigated for vague, unspecified dissident activities. He´s offered an out – leave the country, we´ll let you go – but refuses on moral grounds. Sýkora is having an affair with Slovak crane operator Klara (Kristína Farkašová), which the StB plan to use to their advantage; meanwhile, his friend and high-profile author Pavel (Luboš Veselý) is feeding them information. But Pouta isn´t so much about the Sýkora case, it´s about the time and place and people, all of which are recreated in note-perfect period detail; it´s alarming to think that this was just 30 years ago, but it´s also alarming how little some things have changed. 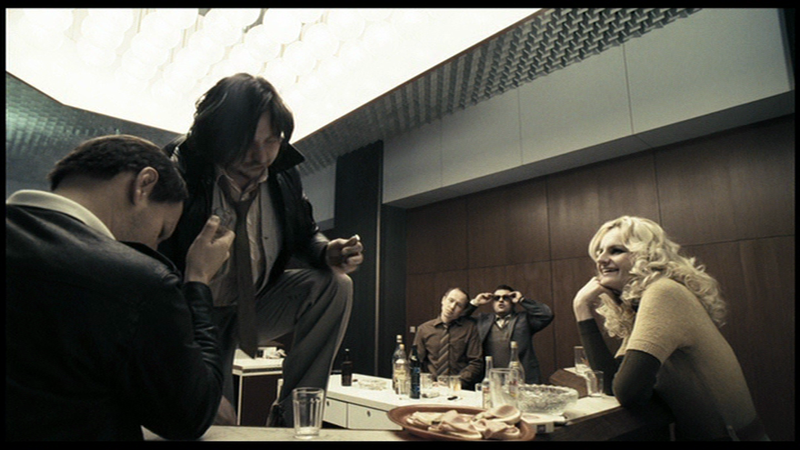 Pouta is also about Rusnák´s epic descent into madness. 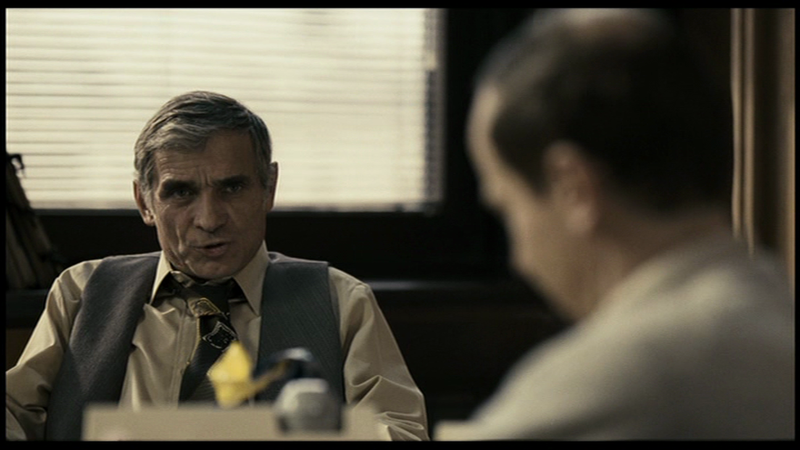 A scene in which he calls it quits with his wife is unnerving, and unforgettable; his climatic encounter with Klara is just as loony – but humanizing – as Bickle´s female pursuits in Taxi Driver. At 146 minutes, the film never feels too long; it´s perfectly paced, with everything so carefully composed that not a moment feels extraneous. The first half-hour of the film is the toughest; you´re thrown into the middle of the story with little background and asked to work things out yourself, and for awhile, it doesn´t seem like much happening. But slowly, the hooks sink in; stick with it, and you´ll be greatly rewarded. 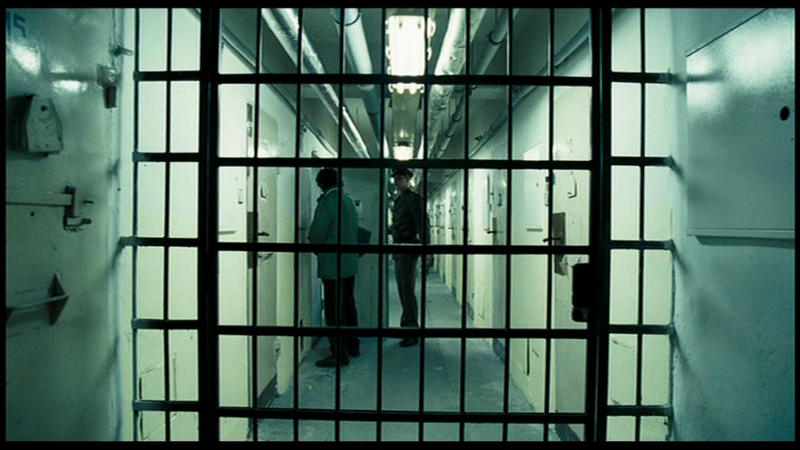 As the film ended, my first instinct was to immediately re-watch the earlier scenes for a greater understanding. That ending is beautiful; it´s the antithesis – and a bleak, bleak parody – of the kind of frustrated but brave departure that the Sterling Hayden character takes in The Long Goodbye. Where is Antonín going? How far can he get? The cast of Pouta is largely made up of little-known actors. Malý (shorter in stature, but vaguely reminiscent of Karel Roden) is a revelation in the lead: intense and terrifying, ready to explode at any moment (though he rarely does – it´s the anticipation that´s effective), he represents something akin to the banality of evil; a faceless bureaucrat with a black soul and human emotions that make him even scarier. It´s a mesmerizing performance – you can´t take your eyes off of him. The supporting cast also does fine work. Latinák and (especially) Finger are memorable; Sýkora´s reaction when confronted by his wife about his infidelity is priceless. Oldřich Kaiser, the one real recognizable face in the cast, is just right as Rusnák´s supervisor. 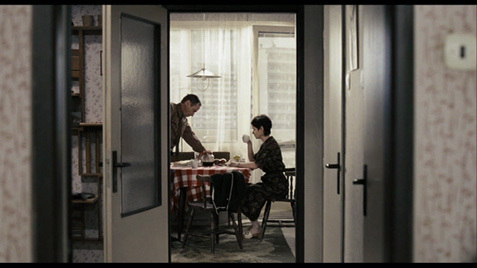 Cinematography by Jaromír Kačer, exquisitely framed and full of slow, careful zooms, adds to the careful intensity that director Špaček builds up throughout the film; most of the movie operates without (or with very little) musical accompaniment, incredible tension flowing naturally from the characters and their situations. Precise and exacting, Pouta is just about perfect. A sometimes-heavy sheen of grain marks this DVD of Pouta, providing the image with a not-unpleasant film-like quality. The image, while not perfect, is entirely adequate, with crisp black levels and nicely reproduced colors. The 16:9 anamorphic 1.85:1 picture is very slightly windowboxed (to compenstate for overscanning on old CRT televisions), with small black bars appearing on all four sides. Pouta is not currently available in blu-ray format. The 5.1 Dolby Digital Surround sound is loud and clear, with sparse (but effective) use of the rear channels. 2.0 Stereo is also provided. Subtitles are available in English and Czech for the hearing impaired. A gag reel (2:15) featuring the cast flub their lines and other miscues. A strange inclusion considering the nature of the film; at least the cast and crew seem suitably solemn on set. A music video (3:46) from the band Pikola (which also plays over the closing credits); the music is fine(if anachronistic), but the video chops up scenes from the film in inappropriate quick-cut MTV style. Select ‘Czech´ from the first screen, however, and you´ll get the only worthwhile extras on the disc: a series of 8 short deleted scenes (between 0:30 and 1:30 each), which are provided without English subtitles. Most of these are small character moments, but one scene (between Antonín and a secret police secretary) is particularly revelatory – though I can see why it was left out. Pouta is a great film, and this is a fine DVD at a reasonable list price. 25.3.10: Remember Me | Leap Year | Babylon A.D.
4.2.10: Capitalism: A Love Story | Brothers | The Box | Did You Hear About the Morgans? 7.8.08: The Dark Knight, Mamma Mia!